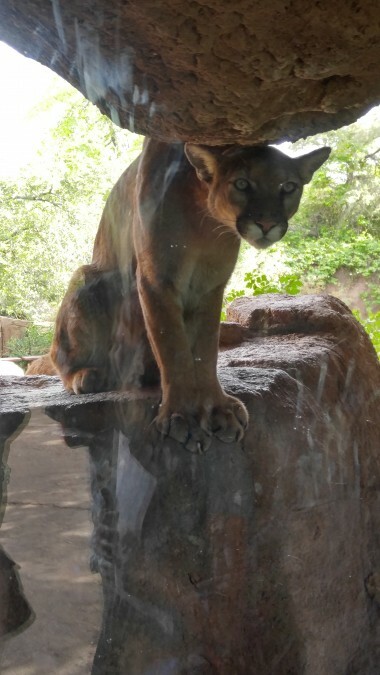 Remember how we just finished telling you that the San Antonio Zoo and White Sands National Monument are among the favorite places we have visited? 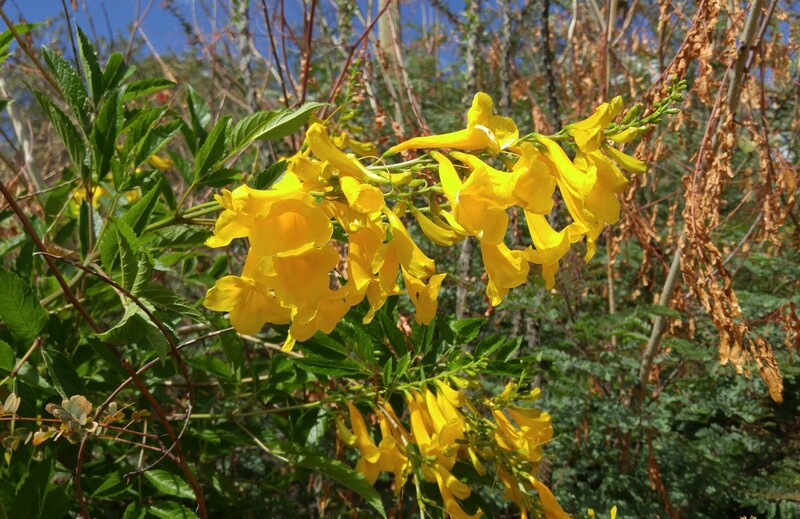 This list also includes Skidaway Island State Park, Rockport and Camden, Maine, and New Orleans. 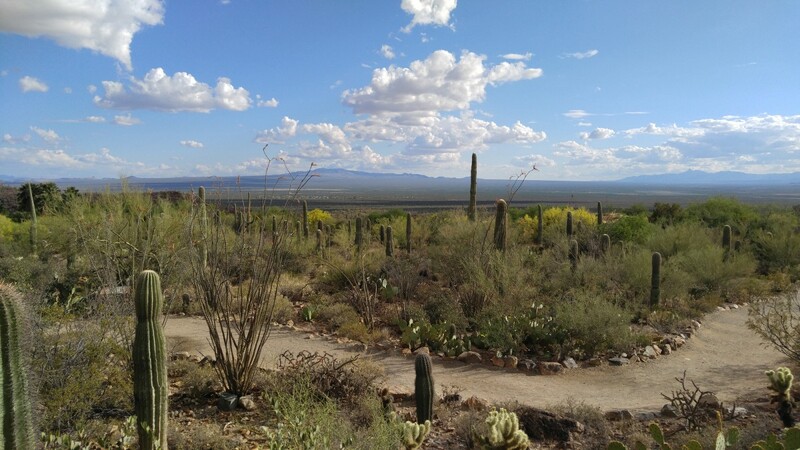 Well, we have a new favorite, quite possibly our number one — the Arizona-Sonora Desert Museum in Tucson, Arizona. 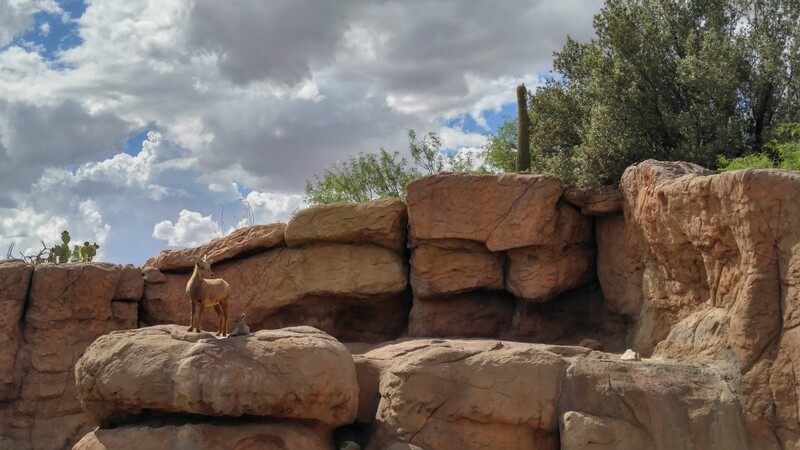 Unlike any other place we have visited, this natural zoo, botanical garden, art gallery, natural history museum and aquarium is the number one tourist attraction in Tucson, among the top ten museums in America and the most beautiful museums/zoos we have ever seen. 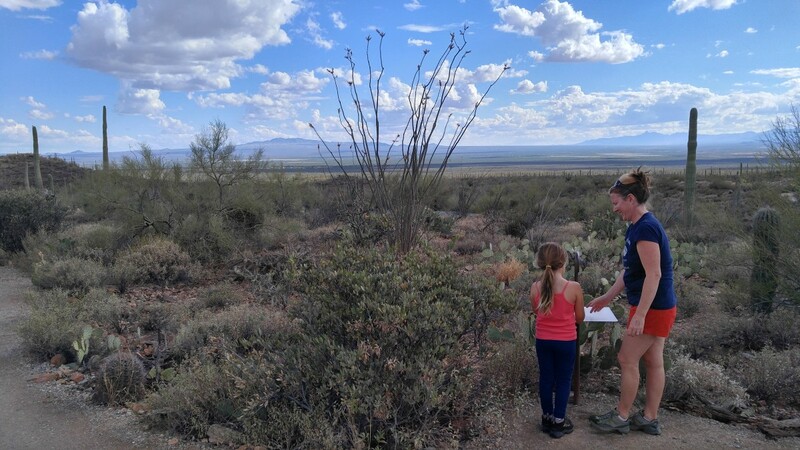 If you want to experience the Sonoran Desert and all that it has to offer — flora, fauna, hiking, vistas, education, conservation — than the Arizona-Sonora Desert Museum is a must-see. Over a sprawling and winding ninety-eight acres, the Arizona-Sonora Desert Museum seeks “to inspire people to live in harmony with the natural world by fostering love, appreciation, and understanding of the Sonoran Desert.” (Arizona-Sonora Desert Museum) You can find it on your way to the westernmost of the three Sonoran Desert National Monuments in Tucson. 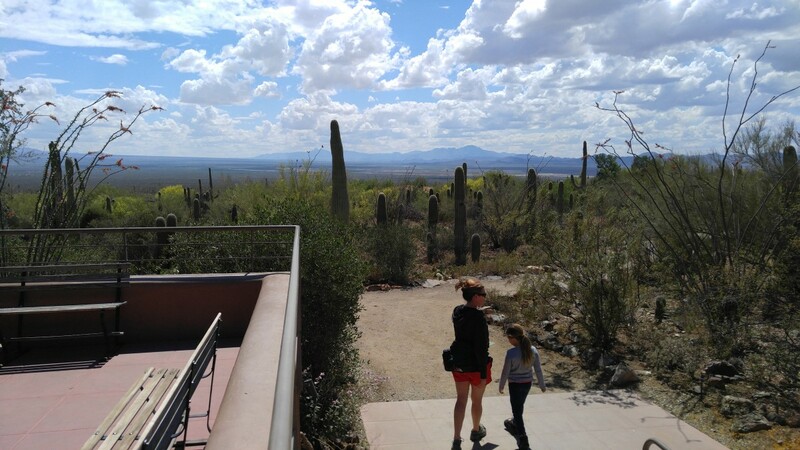 Eighty-five percent of the museum is outdoors, enabling humans to experience this beautiful desert and its inhabitants in a natural setting. 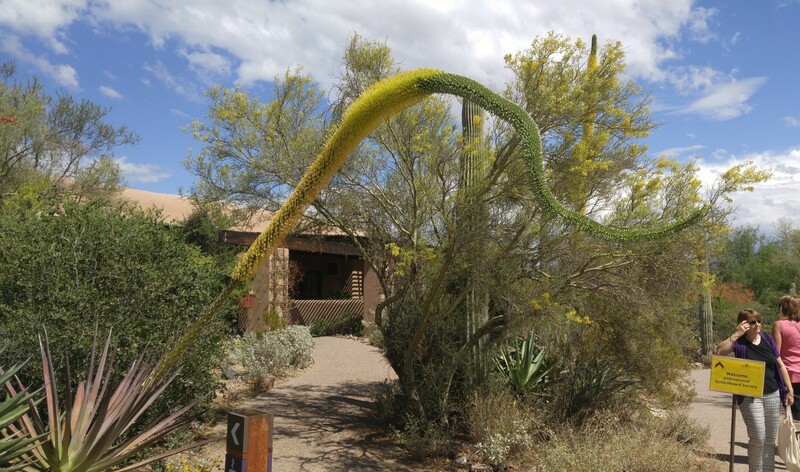 We expected to stay for a couple of hours. 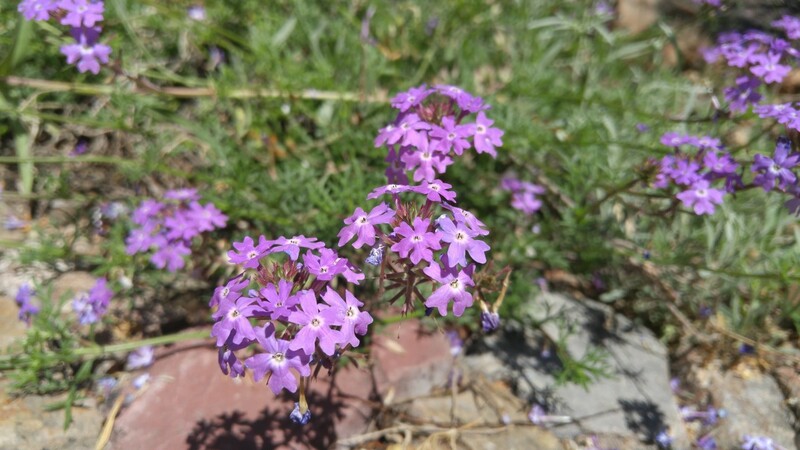 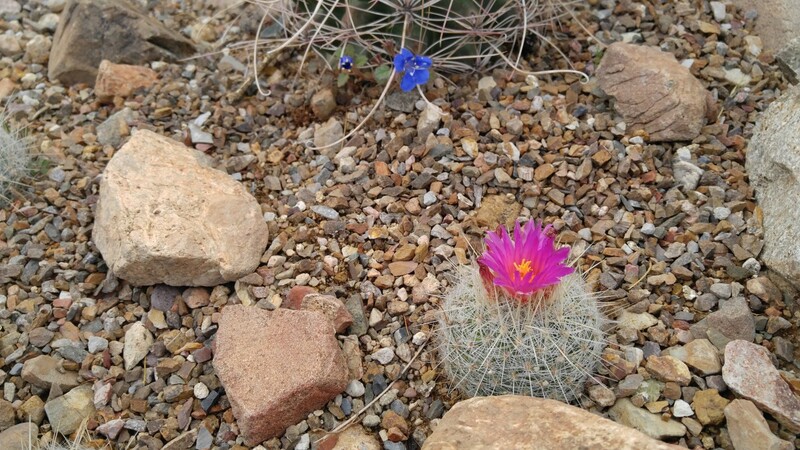 Instead, we spent five amazing hours visiting butterflies, bees, moths and hummingbirds; rams, mountain lions and deer; fish, otters and beavers; scorpions, snakes, skunks and prairie dogs; fish, frogs and salamanders; all of the blossoming desert flowers, cacti and nests that call them home. 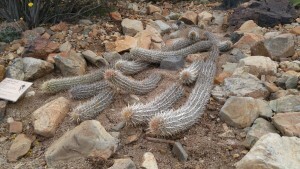 We also hiked through the desert, walked through a cave and found a snake be safely removed from human traffic. 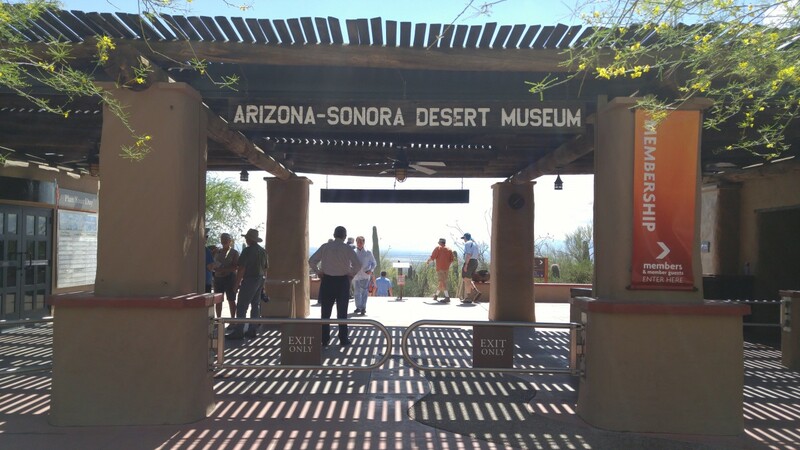 This museum adventure was more than we ever expected, and we cannot say enough about it. 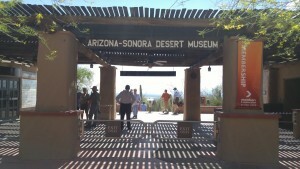 Hopefully, our images speak for themselves and you, too, will want to visit this place. 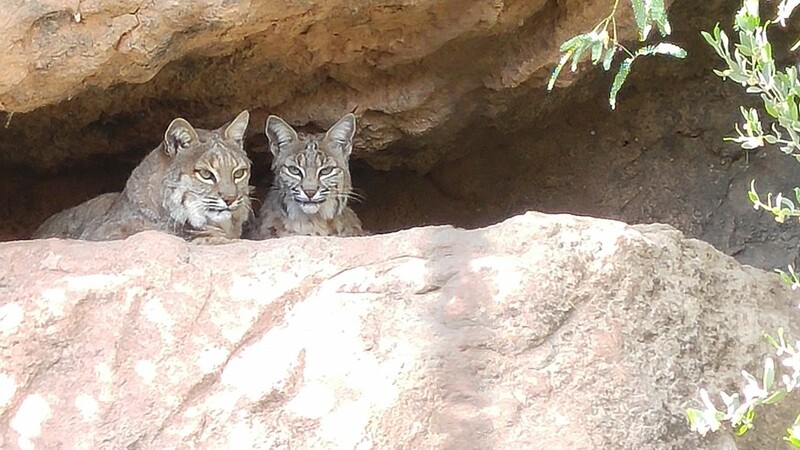 The Animals. 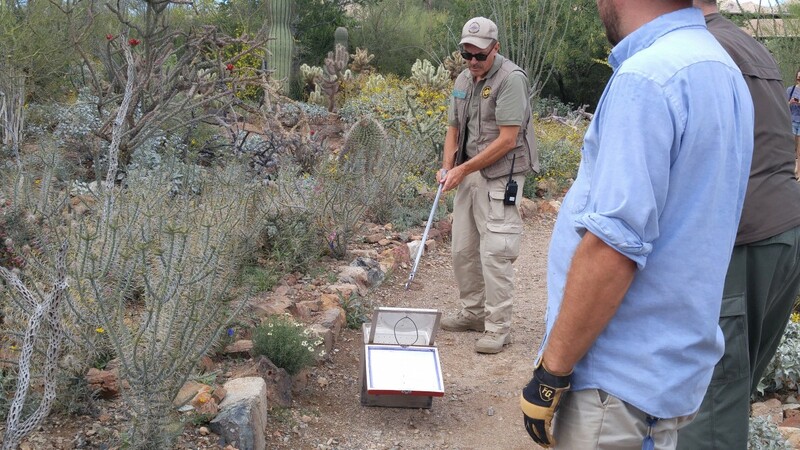 Everything that we had hoped to expose Luna to before we hiked the Sonoran Desert we found at the Arizona-Sonora Desert Museum. 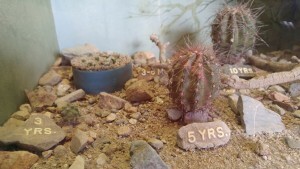 We had heard that animals were present at this museum, but we did not expect to see what we did. Rams, snakes and tarantulas in underground lairs, river creatures, wolves and coyotes and so many more — over two hundred thirty native creatures in fact. 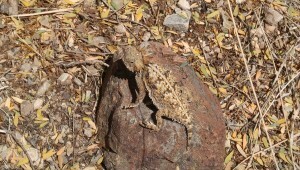 Unlike the flowers of the desert, the animals are hidden in plain site, camouflaged like the dirt and rocks and sticks. They are all so interesting and gorgeous. We were excited to see every one of them. 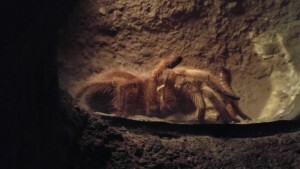 A Beautiful Tarantula in a Cozy Lair. 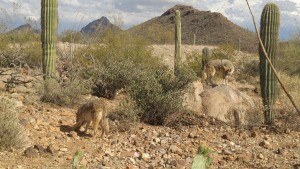 Coyotes Play and Dig in the Desert. 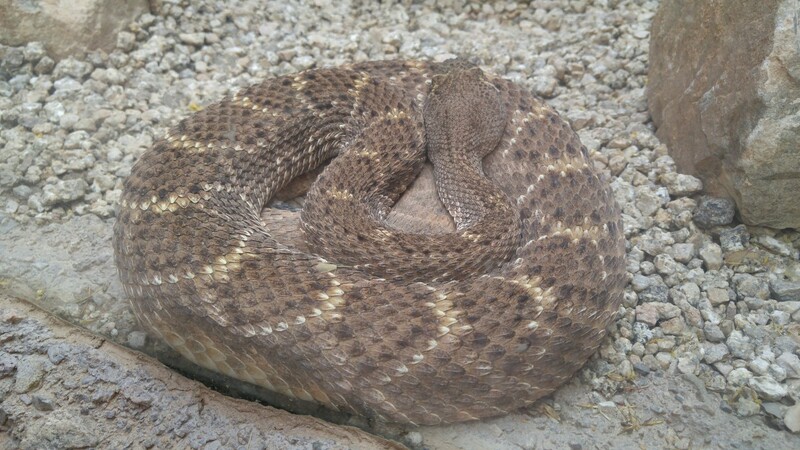 A Western Diamondback Rattlesnake Does Not Care About Me. 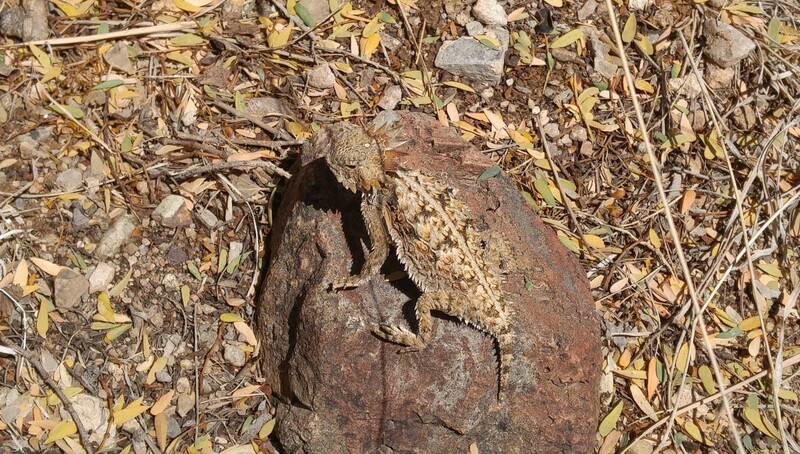 A Horned Lizard Knows I’m Watching. A Bark Scorpion Hides Under a Rock. 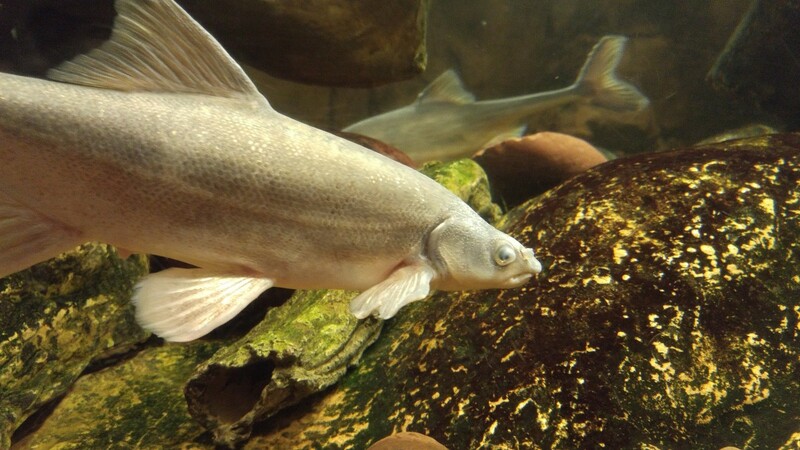 The Bonytail Chub, One of the Most Endangered Animal Species in the U.S. This Mountain Lion Turned Toward Us When It Saw the Food Truck Arrive. 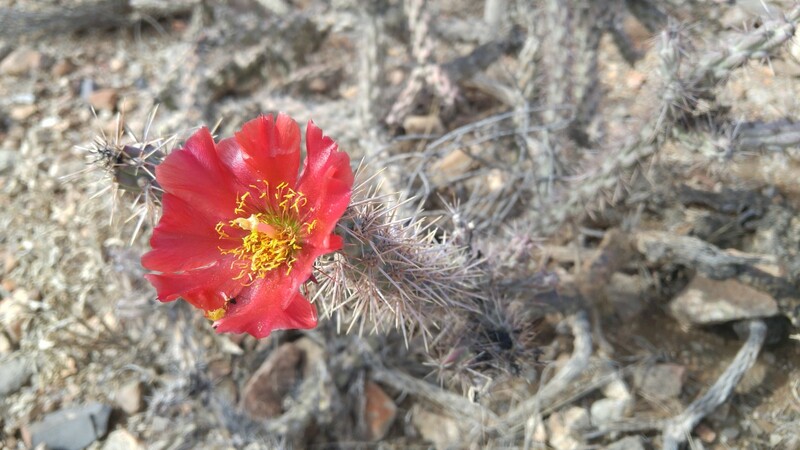 A Beauty. 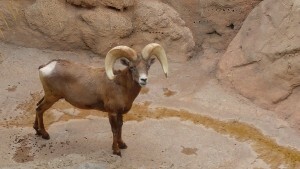 Female Ram with New Baby. A Real Crowd Pleaser. 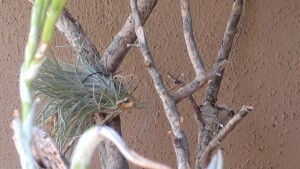 Hummingbird Nest (to the right). 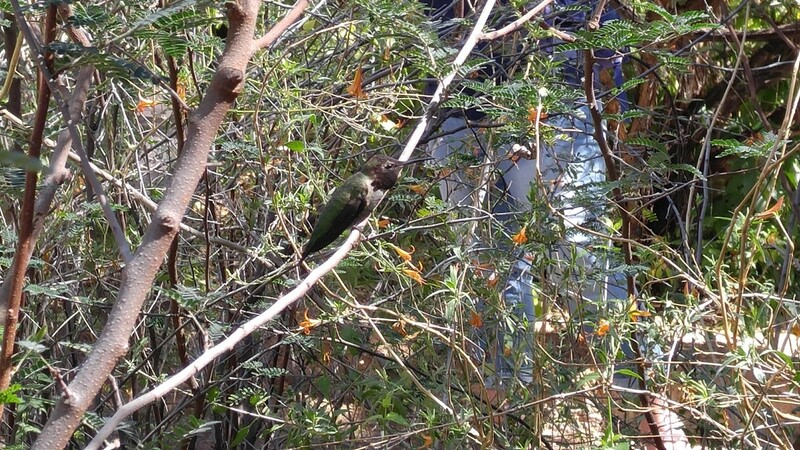 Look for the Tiny Beaks. The Plants. 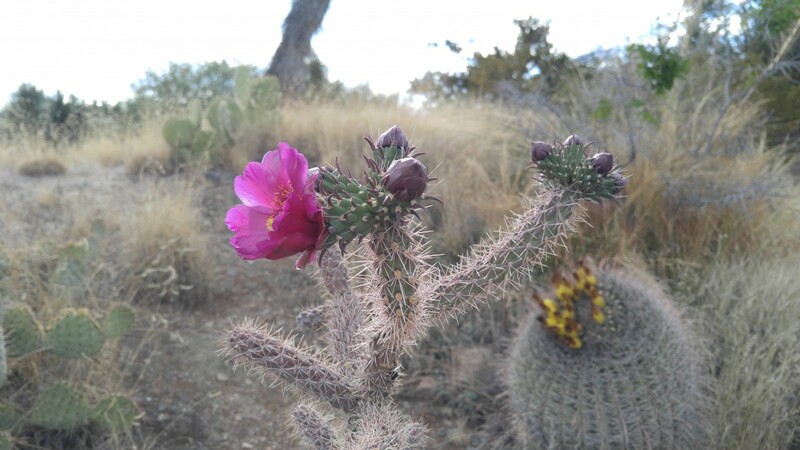 The desert flora is gorgeous — prickly, pointy, obtuse, awry, unexpected, wonderfully unattractive, spontaneous, ancient, new and sometimes apparently dead. 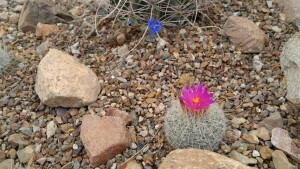 We find cacti enchanting. 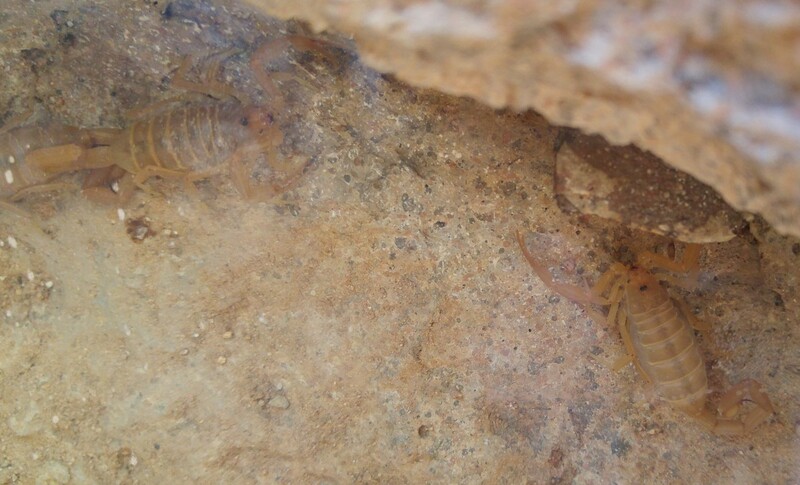 We love that they create homes for desert creatures, that they find their way water, that they survive and thrive, that they force you to take notice. 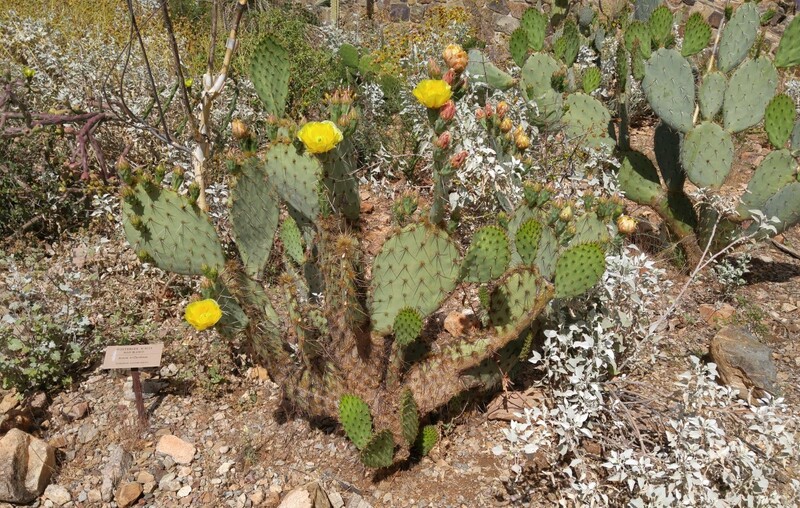 Many of us try to grow and raise cacti in our homes, but there is nothing like being out in the desert to experience them firsthand. 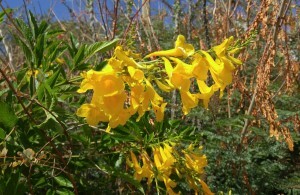 There are 1,200 types of plants, and 56,000 individual species on the grounds. 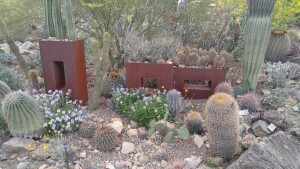 (Arizona-Sonora Desert Museum) What a joy these desert plants are. 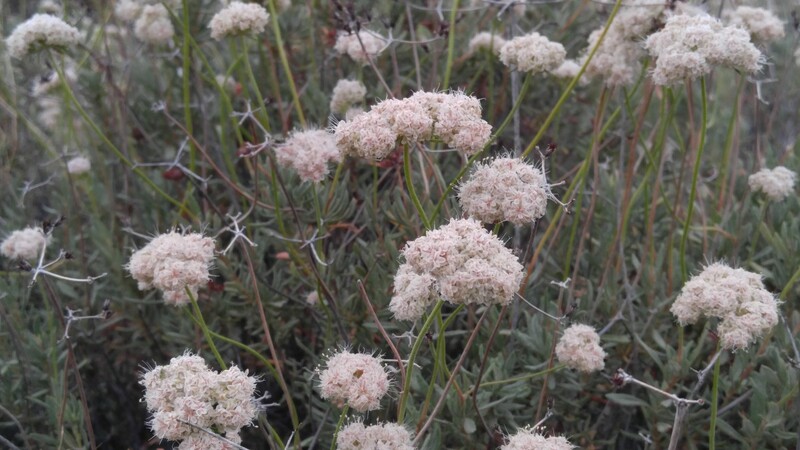 One of Scot’s Favorites, the Flat-top Buckwheat. 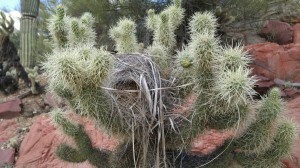 A Favorite: The Creeping Devil. 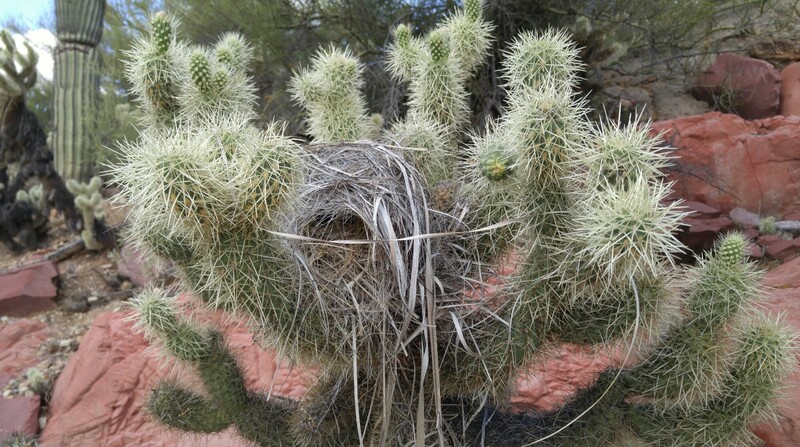 Private Bird Residence in a Teddy Bear Cholla. 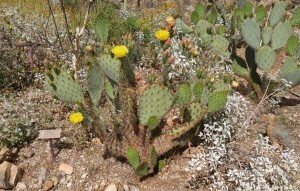 A Paddle Cactus in Bloom. Art and Architecture. 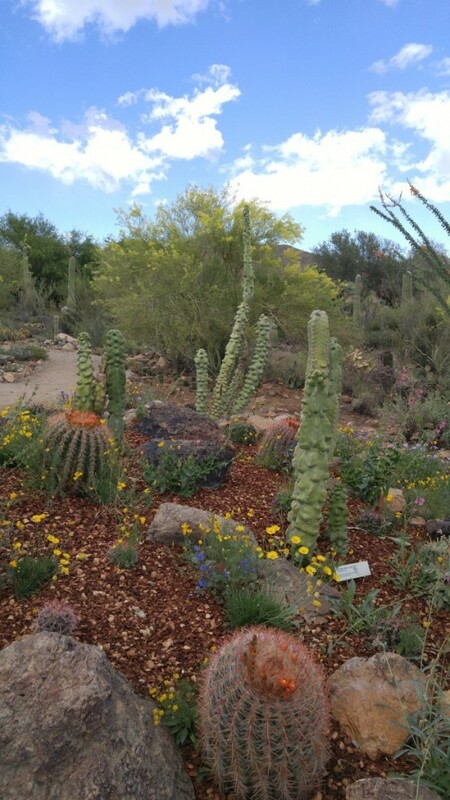 The Arizona-Sonora Desert Museum is full of handsome, surprising and well-placed art and architecture found along the trails, in the gardens, indoors and throughout the exhibits. 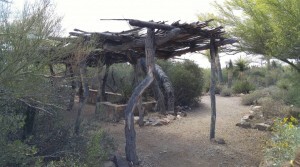 The ramadas are everywhere, for which we were grateful when the clouds moved from the sun, providing much needed shade. Each one is unique. One of Many Desert Ramadas. 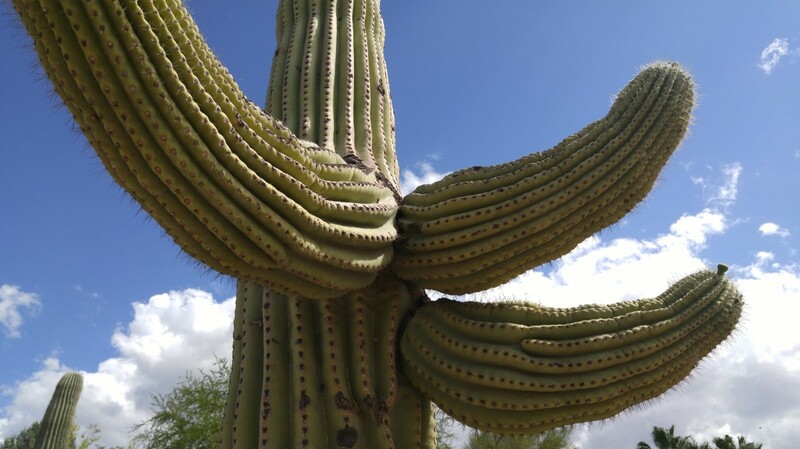 This Display Tells Us How Long it Takes for the Saguaro to Reach Such Heights. 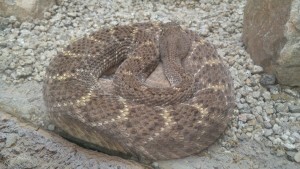 This Rattlesnake was Trying to Make Its Way in the Garden. A Park Snake Handler Moved it to Safety. 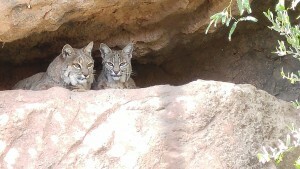 We really enjoyed this day, and it would be easy to return for another visit. There is so much to see. 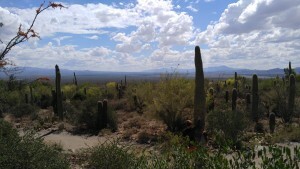 We hope that this gives you a glimpse of this beautiful desert, especially if you have never seen it. What an amazing place. 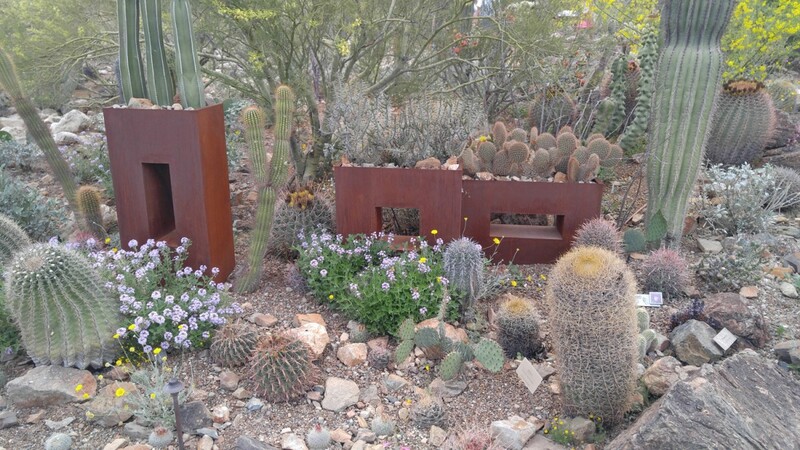 We love the desert. Lovely, lovely. 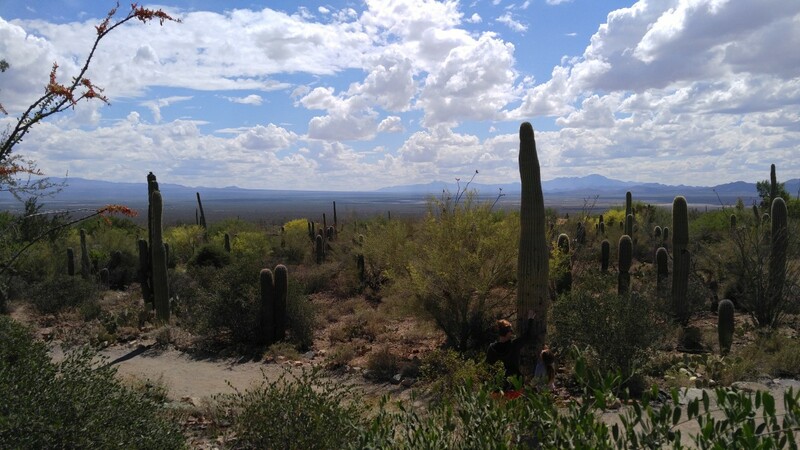 I remember the feel of that warm Arizona sun on my skin. I’ll be back.